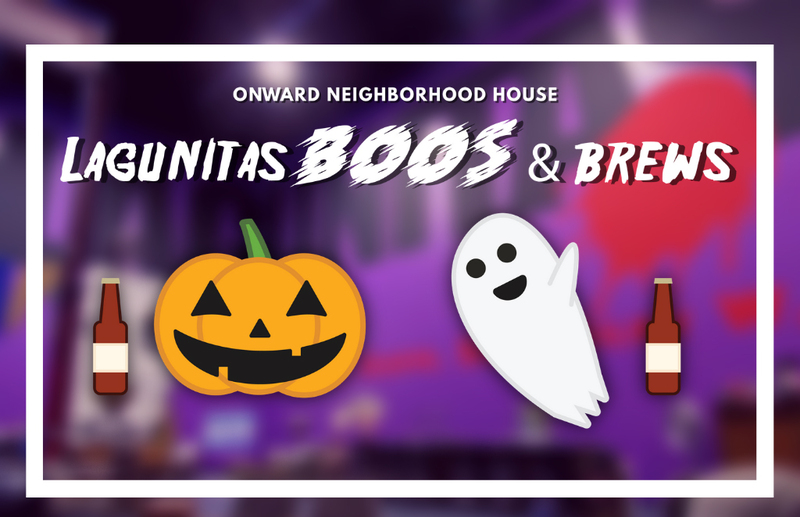 Come down to the Lagunitas taproom for a SCARILY good time Monday, October 29, 2018. Network with Chicago's best and brightest at one of Chicago's finest local brewery. Enjoy your Lagunitas favorites like Lagunitas IPA, "Little Sumpin'" and many more. The event will be catered by Jarabe Mexican Street Food, featuring a build-your-own taco bar! Beer will be sold at retail price ($6), with 100% of drink proceeds benefiting Onward House there's no excuse not to have a great time! Tickets are $20 through October 26 and $30 at the door, so get your ticket today!